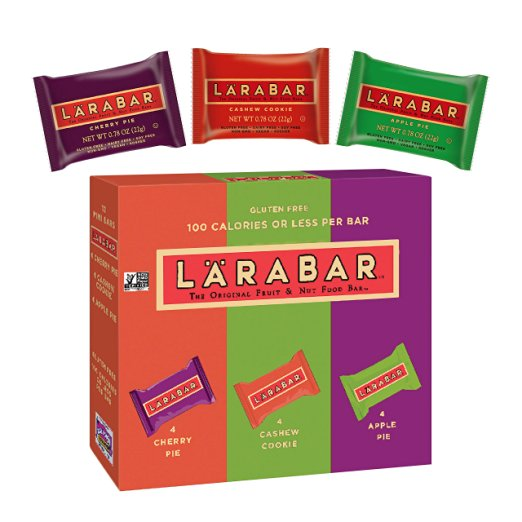 12 Count Box of Larabar Minis Snack Bars Only $6.03 Shipped! Amazon has the 12 count box of Larabar Minis Snack bars for just $6.03 when you clip the 25% off coupon and purchase them using the subscribe and save option! That’s pay just $.50 per bar! This box includes cherry pie, apple pie and cashew cookie which I’ve had all 3 favors and loved each of them.